PEN International has received the good news that Ta Phong Tan was released from prison on September 19th of this year. While welcoming this news, we also deplore the information that she is simultaneously forced into exile. 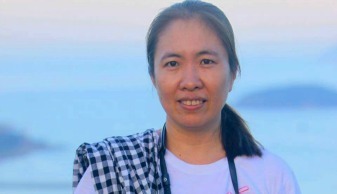 PEN International calls on the Vietnamese authorities to allow Ta Phong Tan to return freely to Viet Nam and to quash her sentence. We also call on your authorities to release immediately and unconditionally all writers and journalists held solely for peacefully exercising their right to freedom of expression. We trust that Your Excellency will listen to our appeal and look into Ta Phong Tan’s case. As a member of Writers in Prison Committee, Norwegian PEN, I am deeply concerned by the sentences served against the writers Tran Quoc Hien, Nguyen Van Ly, Nguyen Van Dai, Le Thi Cong Nhan (f) and Tran Khai Thanh Thuy (f). They have been heavily sentenced for pro-democracy activism and writing on Internet. We are concerned about an apparent crackdown on leading pro-democracy activists and writers for their peaceful dissident activities. We believe that writers Tran Quoc Hien, Nguyen Van Ly, Nguyen Van Dai, Le Thi Cong Nhan (f) and Tran Khai Thanh Thuy (f) are detained solely for the peaceful exercise of their right to freedom of expression, and I call for their immediate and unconditional release of all writers held in Vietnam in violation of Article 19 of the United Nations International Covenant on Civil and Political Rights (ICCPR), to which Vietnam is a signatory. I, as Chair of Writers in Prison Committee (WiPC) of Norwegian PEN, am seriously concerned about the detention of magazine editor and Catholic priest Father Nguyen Van Ly, who was reportedly arrested on 19 February 2007 for his dissident activities. Norwegian PEN fears that he may be held solely for peacefully exercising his right to free expression, and calls for his immediate and unconditional release in accordance with the International Covenant on Civil and Political Rights (ICCPR) to which Vietnam is a signatory. There are reports that his health has seriously deteriorated since his arrest. Ly is a leading member of the pro-democracy movement «Bloc 8406». He was previously detained from 1977-1978, and again from 1983-1992 for his activism in support of freedom of expression and religion. According to PEN’s information, Ly was arrested on 19 February 2007 during an «administrative check» at the archdiocesan building where he lives in the city of Hue. Phone lines were cut and the entire building was searched. Six computers, mobile phones and many documents were taken away. Two other editors of Tu do Ngôn luan, Father Chan Tin and Father Phan Van Loi, were reportedly placed under house arrest but are thought to have been subsequently released.